Homeschool math is probably the one subject that I’ve spent the most money on during our homeschooling years. Some families get it right on the first try, not us. In the six years we’ve been homeschooling, we’ve tried at least two dozen different math programs. Some lasted a semester, while others lasted less than a week. Matching learning styles and preferences with a math program is probably one of the hardest things to get down as a homeschool mom- curriculum wise. Once we received access to our digital downloads, Julia (8th grader), decided to start with the Integers workbook. Let me take a moment right here to tell you that normally, math makes Julia cry. Just me telling her to do her math can bring on the tears. Now, that being said, we started the workbook together just to be sure we were both on the same page with what was going on. We started with the first lesson- Integers. Another note- the books aren’t laid out by lesson number, but by concept. Each concept is 2-5 pages long. Once we got a handle on how the lessons worked, I set her free to do it on her own. Do you see that happy little person right there? Not only did she grasp the concepts easily, she enjoyed herself!! When I questioned her about what she liked best, her first response was the counters. She said they really cleared things up for her. Julia has encountered some of this math before but always struggled. Math Mammoth has put an end to her struggling. She finished the Integers workbook in about three weeks. She worked her way through one lesson at a time. Some are quite short, but that’s okay. It’s great for building confidence. We’ve since moved onto Percents. This one is taking a bit more concentration and time to complete, but she’s still learning and NOT melting down. Yay Math Mammoth!! Once we complete this workbook we’ll move onto Rational Numbers. Math Mammoth currently has 46 different books in the Blue Series. They offer a discounted bundle deal if you want them all. 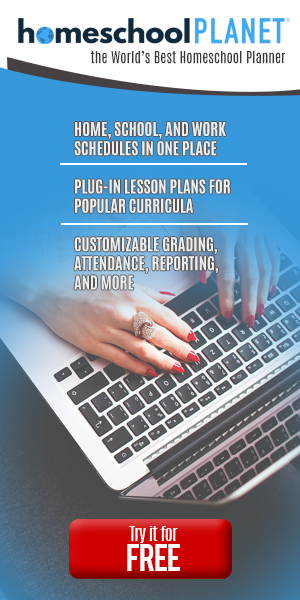 If you aren’t sure where to start your child, Math Mammoth offers a placement test with easy instructions for grading. I wholeheartedly recommend Math Mammoth to every family- homeschooling or not. The techniques in which they present and teach the information is easy to follow and almost fun to complete. 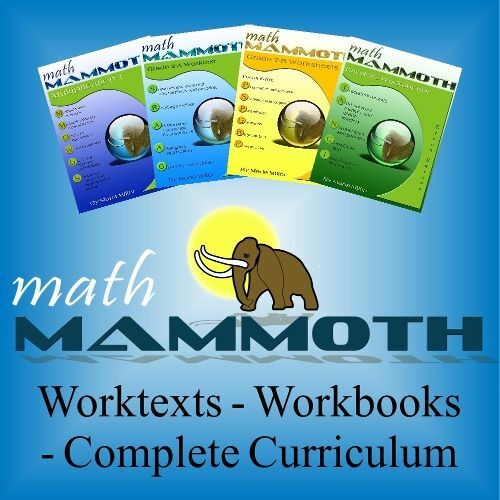 Math Mammoth has become a go-to resource for our homeschool math. So glad to see a review on this with an older student – might be exactly what MY 8th grader needs. Thanks for the great review! On a side note – are you aware that there isn’t just one but actually TWO active popups for joining your newsletter? I’m not sure if maybe you have them on separate timers or something, but when I clicked over to pin this they were both up. 😉 In case you didn’t know.